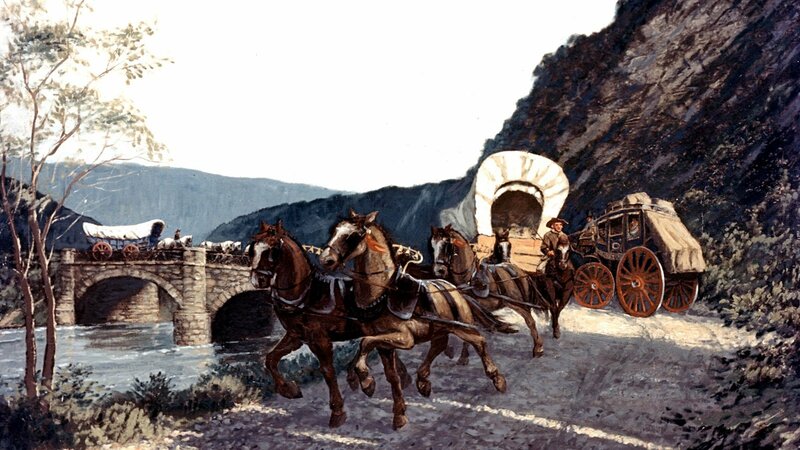 Learn about the first road ever paid for by the federal government, which paved the way for covered wagons carrying settlers to the West. It is called the “road that built a nation.” And as the first, large-scale federal infrastructure project, it would pave the way for thousands of American settlers to venture out west. In those early days of the young nation, federal spending on a national project was highly controversial. Though President Thomas Jefferson was no fan of federal spending, he knew that a road heading westward was necessary to secure what he saw as America’s Manifest Destiny. Not only would it help America establish itself in land that was then almost entirely uncharted by Europeans, it would help forge a sense of unity between the coast and the new American interior while fueling economic growth. 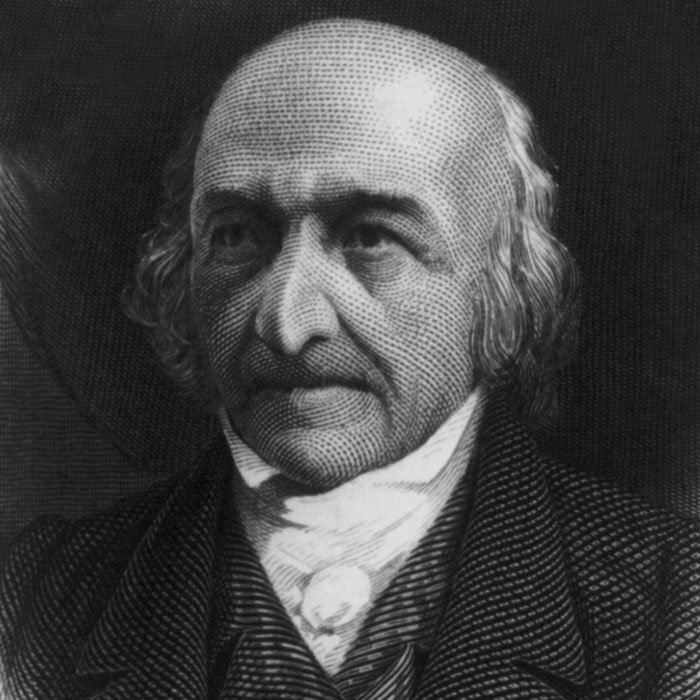 He and Secretary of the Treasury Albert Gallatin had worked together to finance the Louisiana Purchase in 1803 and the Lewis and Clark Expedition of 1804. And although both of those historical endeavors helped expand the United States’ territories to the west, the Appalachian Mountains made travel between the interior and the East Coast difficult. Gallatin became the chief proponent for cutting a westward road through the mountains. And he proposed funding the project by selling federal land in Ohio. Incidentally, the road wasn’t just in the nation’s interest; it was also in Gallatin’s. Not only would the road go through his former Pennsylvania congressional district, it went directly past his home. Gallatin lobbied heavily for the appropriations, which Congress eventually passed in 1806. 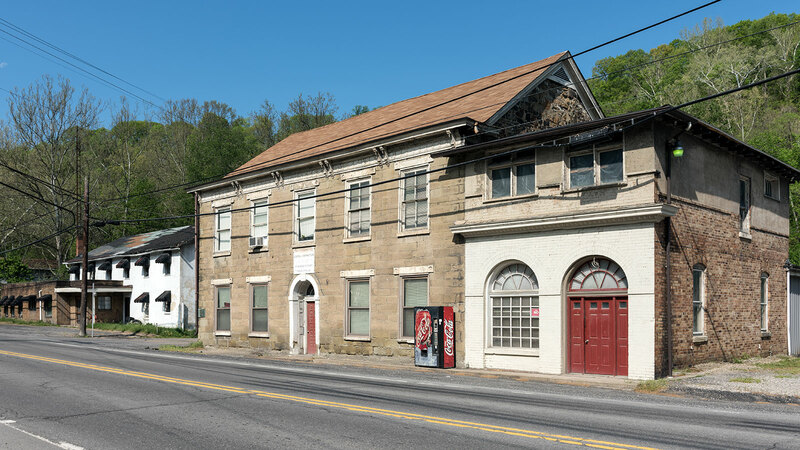 On March 29, Jefferson signed the act allowing construction of the 131-mile road from Cumberland, Maryland, then a metropolitan hub, to Wheeling, West Virginia, connecting access between the Potomac and Ohio Rivers. Teams of workers cut a 66-foot-wide path through mountain passes, chopping down trees, digging out stones, and clearing forests as they went. 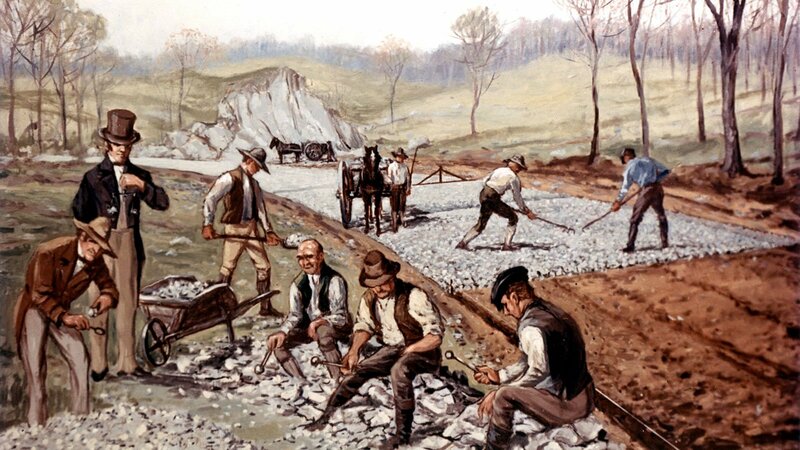 The road was then paved with layered gravel, using a method borrowed from the French engineer Pierre Trésaguet. It involved a seven-inch-thick layer of stone, hammered in place, and topped with a layer of smaller stones. The first stretch was completed in 1818. 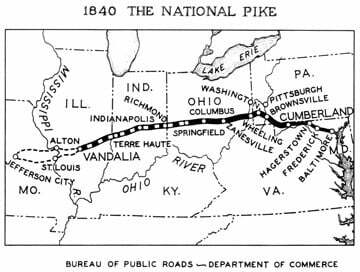 It was officially called the Cumberland Road but unofficially dubbed the National Road, and later, the National Pike. 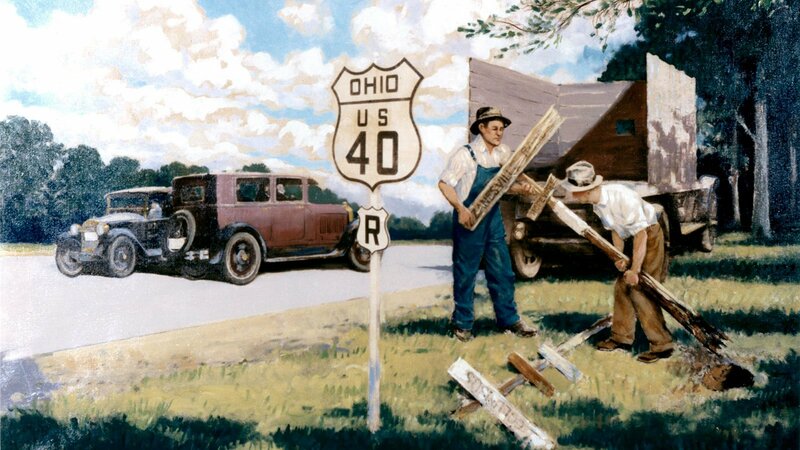 Once the route to the Ohio River was complete, proponents began lobbying to extend the road to the new state capitals of Ohio, Indiana, and Illinois. Congress approved that funding in 1831. At the same time, representatives of the US government worked to remove many Native American communities along the route and beyond. And when Native American leaders didn’t want to sell, they were often forcibly removed. By the mid-1830s, for example, the United States had laid claim to much of the land all the way to and through the state of Indiana. 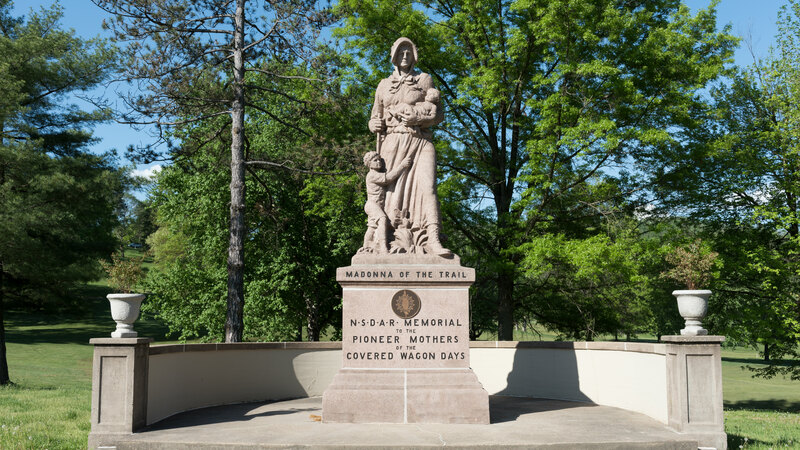 In what is perhaps one of the most infamous of those so-called agreements, the Treaty of Fort Wayne, then-Indiana Governor William Henry Harrison signed a treaty with members of the Delaware, Potawatomi, Shawnee, Miami, and Kickapoo tribes for 3 million acres of tribal land in in exchange for $7,000 and an annuity of $1,750. The validity of those treaties has also been called into question by other Native American leaders, who said at the time that the treaty signers had no authority to speak for them or to sell the land. 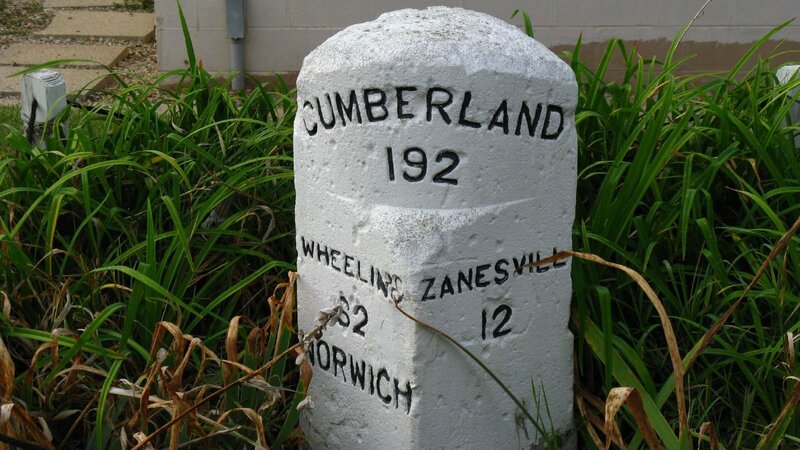 In 1831, the federal government began transferring control of portions of the Cumberland Road to the states, which began collecting tolls to fund repairs or contracting private companies to do so. They constructed turn pikes, or gated entrances to the road, and toll houses. The toll was based on the type of vehicle and the amount of wear and tear it would inflict upon the road. For example, a horse and rider paid four cents, while a chariot with two horses and four wheels might pay twelve cents. A score of sheep might pass for six cents. Wagons with broader wheels paid less, and in some places, carts or wagons with wheels larger than eight inches might travel for free, presumably because they might actually help compact the road gravel. 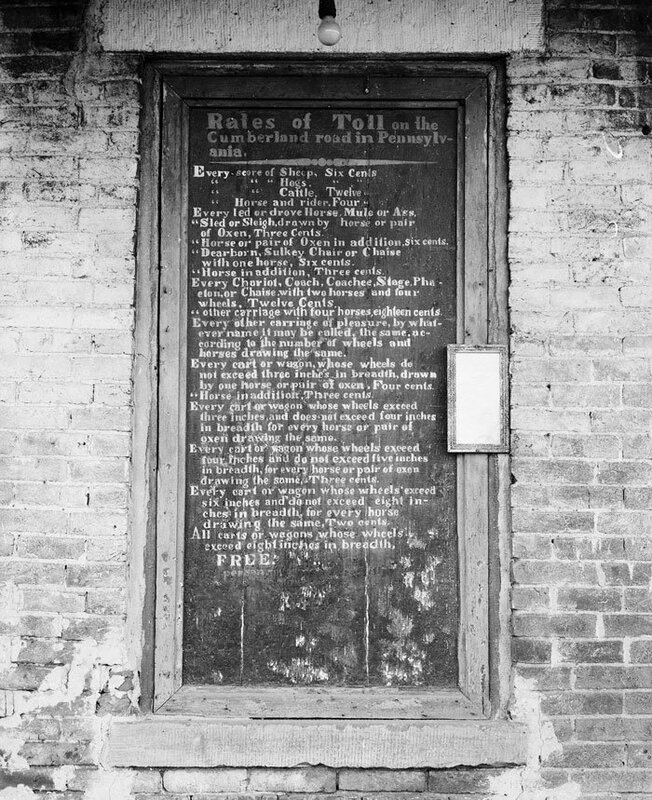 New towns and businesses began to spring up along the road to service this new economy, particularly near toll houses. The commerce also helped farming and manufacturing throughout what were then the Northwest Territories. 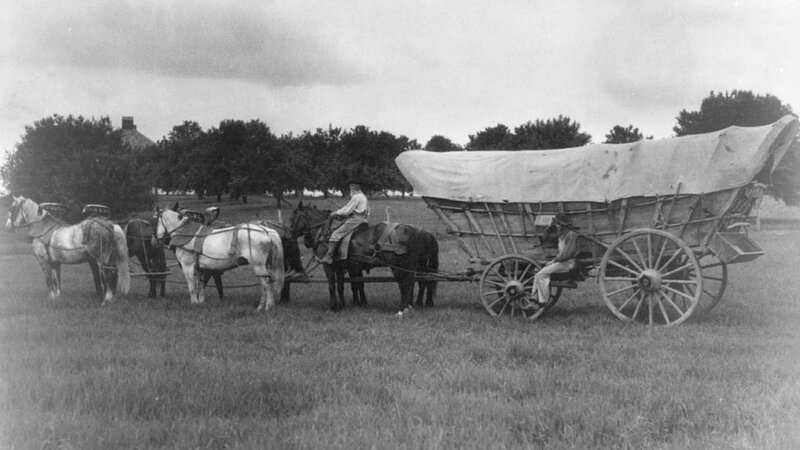 Settlers, many of them in iconic Conestoga wagons, surged west on the road and established farms, sending flour, hemp, and tobacco back east. And it all centered on the National Road. 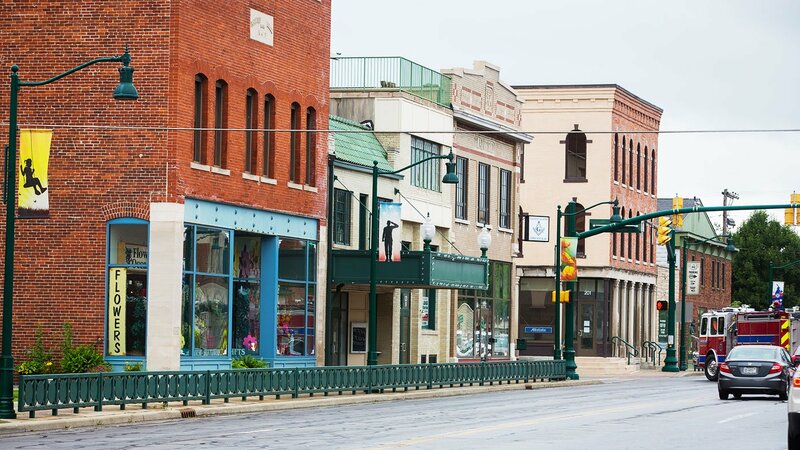 And in many of these small towns, the founders gave their stretch of the National Road a new name: Main Street. “They were exchanging goods and not only goods, but ideas, the philosophies, and religions…and interactions of people all over the country were coming together on this road, in this one corridor, travelling together, interacting with one another, staying at inns together, shopping together,” said Jarzen. 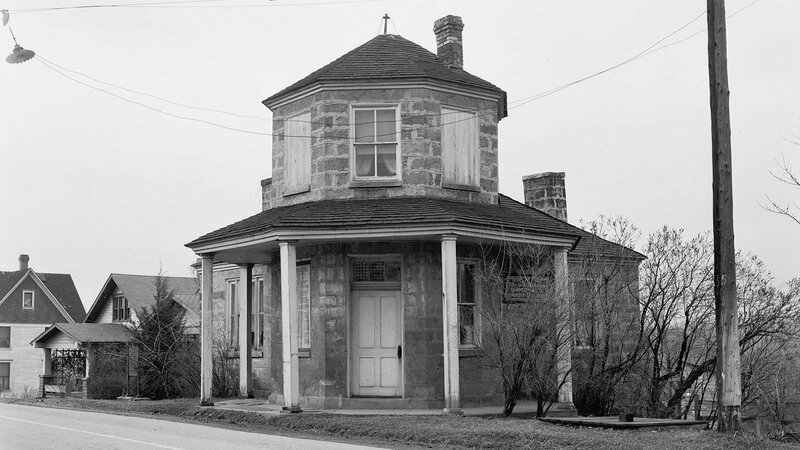 The final federal appropriation for the expansion of the Cumberland Road was made in 1838. But just two years later, as railroads began to supplant horse-drawn wagons as a preferred method of long-distance travel, Congress voted against completing the project. Neverthless, engineers and laborers brought the National Road further west by fits and starts, finally reaching Vandalia, the former Illinois state capital, in 1850. 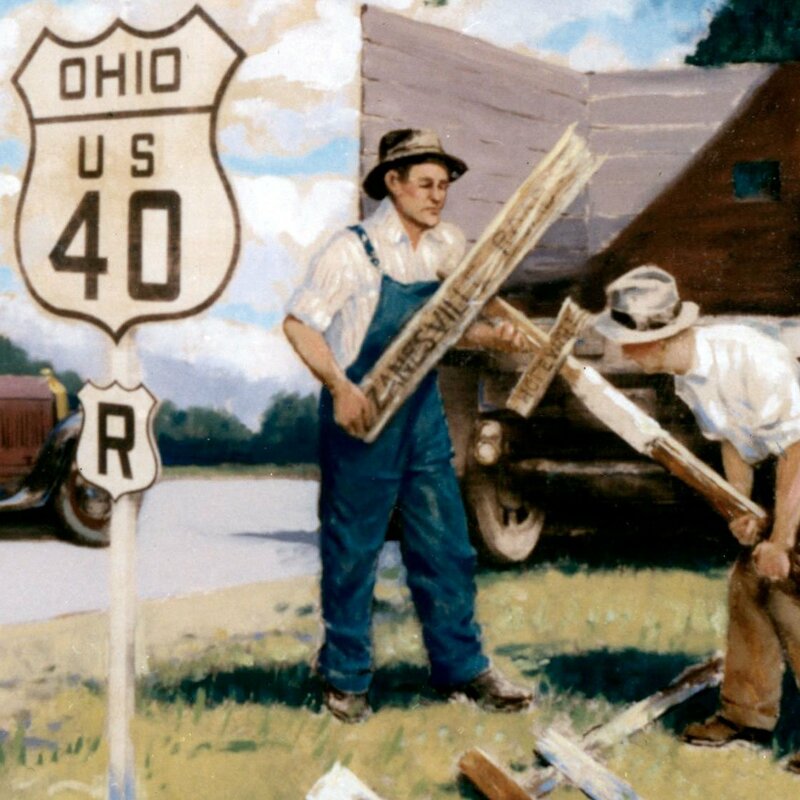 And the National Road also established something new in the American consciousness: the idea of a street as the focal point of a community. Jarzen says that the early towns on the East Coast all centered around a park or green. “But as you moved west along the National Road, that center green becomes Main Street,” he said. And it also furthered another integral part of American identity: the constant striving for something better.